The MD notebook ‘light’ is the perfect notebook for anybody who loves drawing and taking notes on high quality paper. 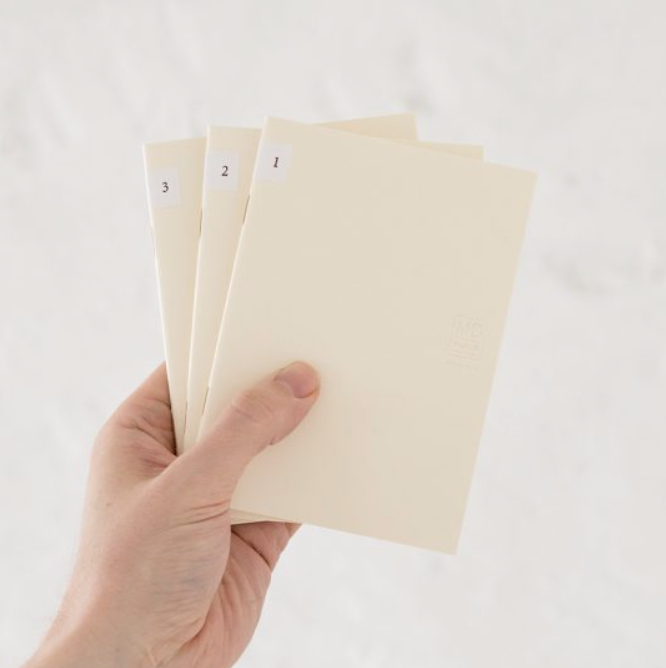 A set of 3 notebooks containing 48 pages, these journals are super light and easy to carry and will particularly suit an on-the-go lifestyle. 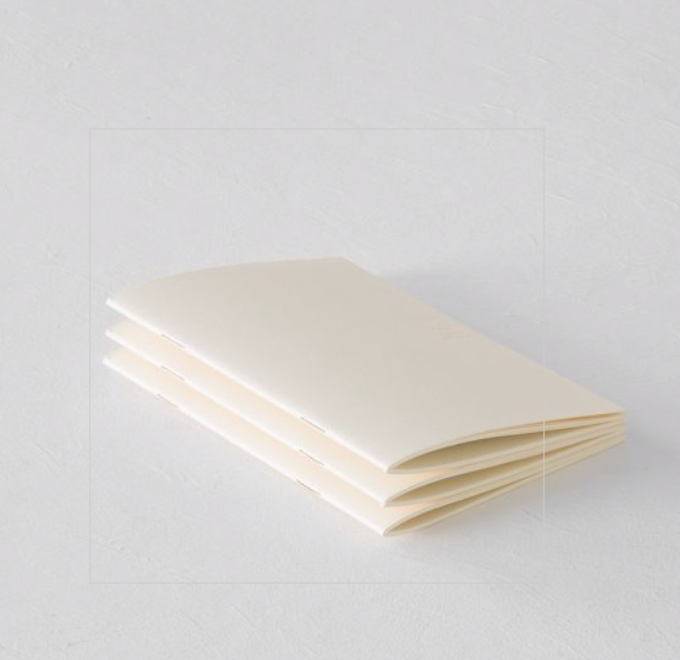 Midori MD Notebooks open flat thanks to their thread-stitch binding and feature fountain pen ink friendly paper throughout the range. 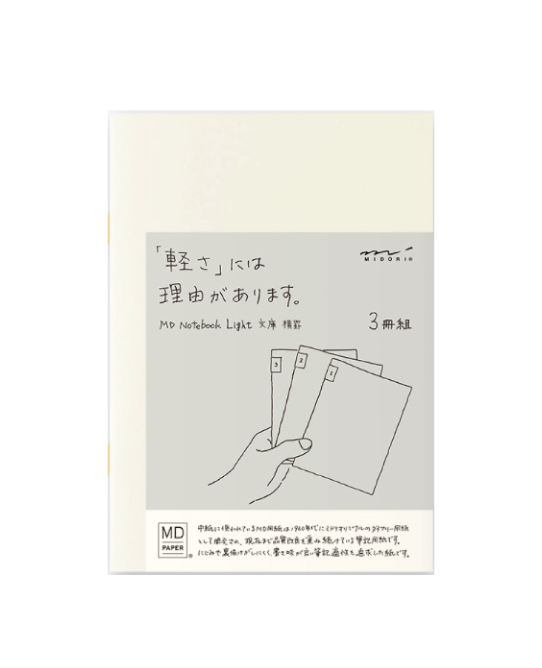 Recognising the importance of the quality of the paper used to record memories, thoughts and ideas by notebook users, MD products are carefully designed for comfortable writing, ink resistance and anti-transparency. 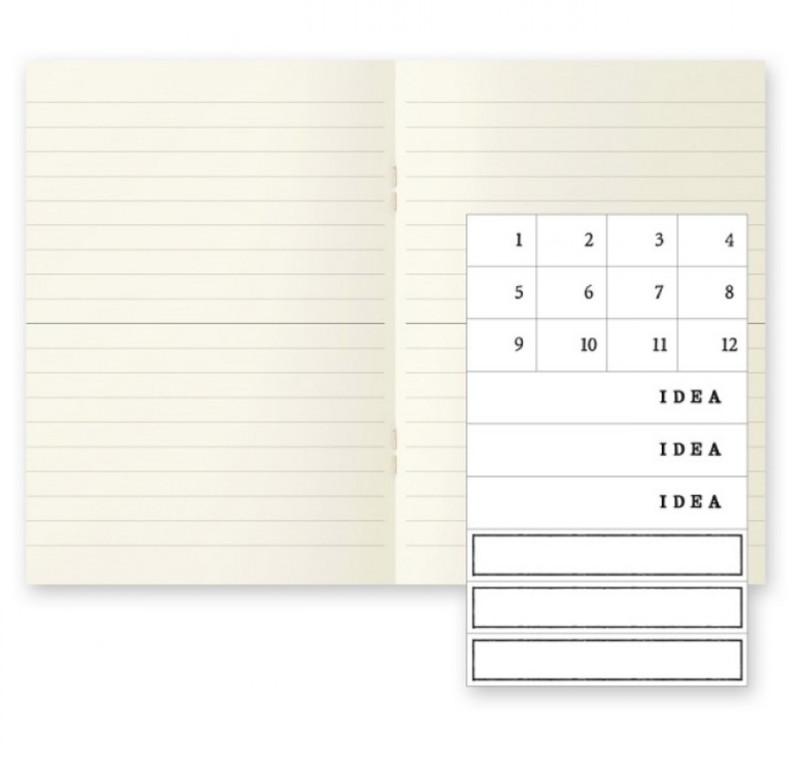 This pack also contains index seals numbered from 1 to 12 that you can use to organise your ideas and customise your notebook.